The first choice you have to make is which one of the two exams 70-461 and 70-761 you will study for and take? Below is the information you may find helpful when you make your decision. 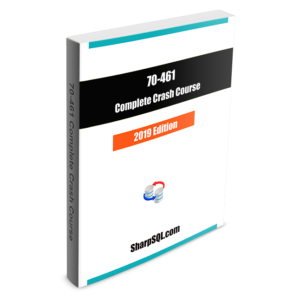 • 70-461 is based upon SQL Server 2012/2014 which are still widely used by most companies and organizations all over the world. 70-461 has never been on the retirement exam list, see Exams scheduled to retire. 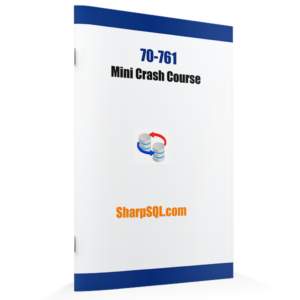 • 70-761 covers SQL server 2016 which is the more recent, later version of SQL server. 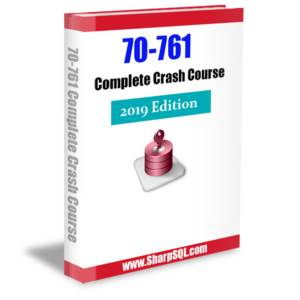 • The preparation for both is almost the same; as the two exams cover the same essential SQL server query, you study almost the same topics to prepare for the exam. As you may already know, obtaining Microsoft SQL server certification is a challenging task, because you are not familiar with the exam (format and content), you may fail the first test, and you might have to spend money and time to prepare for the test. In my opinion, assuming you have already used the Microsoft SQL Server for some time and have a basic yet solid understanding of the technology, the quickest and surefire way to pass any Microsoft SQL server certification exam is to take some practice test to find and fill the gap and eventually pass the test. But not all practice exams out there are equal. Some are outdated and far from the real test in difficulty level, content and format. Even more disappointing, many of the exams do not give the correct answers. And the majority of them do not have a concise, to the point explanation of the question answers to help you speed up your learning and enhance your score. 1. The practice questions are organized by the Microsoft SQL server certification exam objective and skills measured. 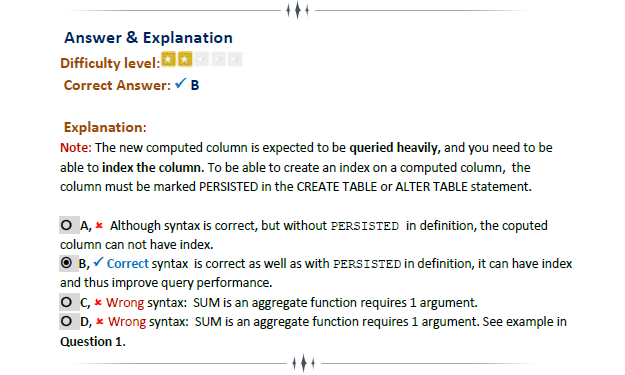 For example, in our study guide and practice exam, you will study the topic of data type Computed Column, you will then have 5 questions immediately listed together following the introduction of the topic. This way you learn the topic and test your knowledge on it afterwards. Thus you study will be more efficient. 2. The practice exam includes all the various question types of SQL server certification exam. The practice exam not only includes the traditional question type such as Multiple Choice (one to many checkbox), Best Answer (one option box only), Short Answer (Write Short TSQL Script), but also lists the new question types such as Drag & Drop, Hot Area (Hot Spot), Build List, Repeated Answers with the same test scenarios. 3. The Question difficulty levels are very close to the real exam and clearly marked with 5 star rating. We provide you with an concise study guide as well as a practice exam. For every topic we first present a brief, to the point introduction, also list some well-chosen web link if you need any further information on the subject. As for the questions followed, in addition to a thorough, well explained answer, we again list some carefully selected web links so you can dig deeper on the topic. Unlike many practice questions and answers out there, for every answer to the exam question we not only provide an answer but we also provided concise and sometimes detailed explanations of the answer. We even point out why the other choices are wrong. As the study guide author we are professionals with over a decade work experience on the subject, we still conducted thorough research on question to have the correct answer. For many tricky questions we actually generated the sample data, wrote and tested the code to have a more accurate answer. So as a test taker you can trust us that with our study guide and practice exam you will learn quickly and learn the subject right! We use stripe for billing. If you can't pay using stripe service please let us know by clicking the [Contact] Menu at the top left or the bottom of this page. We will not allow return for digital download products. For other requests please contact us by clicking the [Contact] Menu at the top left or the bottom of this page. by click the Image above. © SharpSQL 2018-2019. All rights reserved.